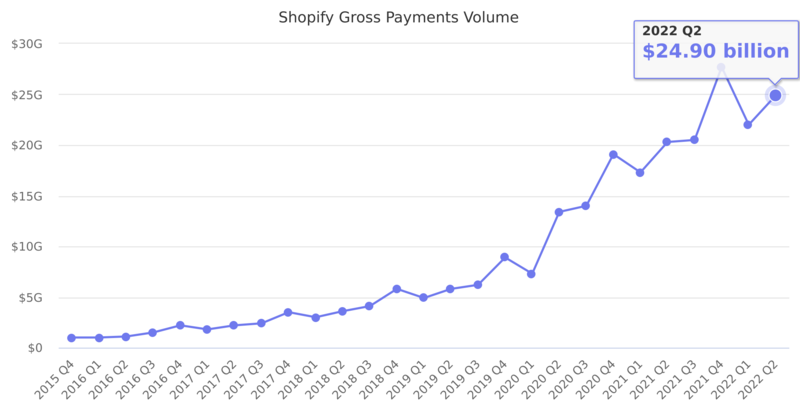 The amount of GMV processed through Shopify Payments. Last reported quarter 2018 Q4 it was $5.80 billion, up by 66% year-over-year from $3.50 billion. From $9.90 billion in 2017 it increased by 67% to $16.50 billion in 2018.